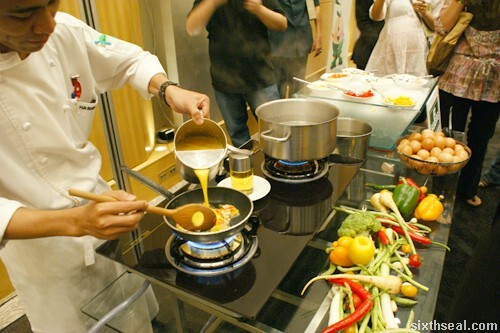 I was at the Horlicks NutriQuest event over the weekend. 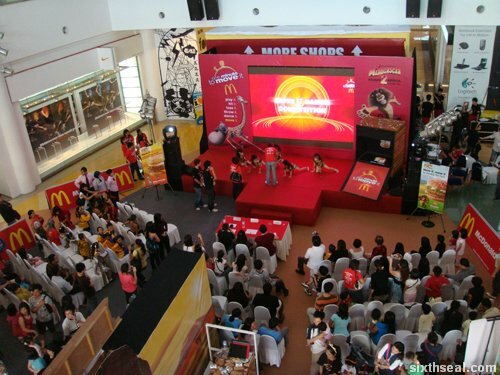 It took up one of the concourses of Sunway Pyramid and the Horlicks NutriQuest roadshow is open to the public. 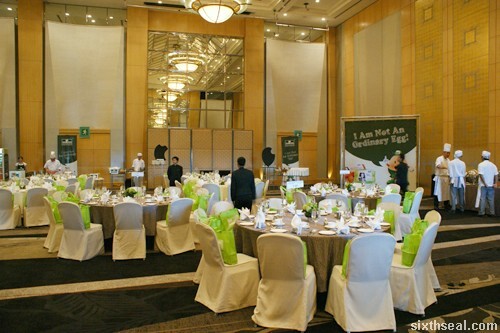 However, on the event day, media and bloggers were invited to join the exclusive campaign launch session. The roadshow was meant to introduce a new game for iOS and Android which is incorporated with the story elements of being Tall, Strong and Sharp in the mobile game play. The story elements are coincidentally also what Horlicks is all about. Horlicks wants to engage kids of all ages through fun adventures available online and on ground by being Tall, Strong and Sharp! Dr Greedy is the key character in the game. He is an evil scientist and the mastermind of the robbery in the Horlicks Factory because he does not want our kids to benefit from the nutrition provided by Horlicks. I also met him in person over the weekend. Haha. He (and his Metaloids) destroyed all Horlicks caches to prevent kids from growing Tall, Strong and Sharp. You’re one of the adventurers that steps up to stop him. This was reflected in the booths too – in addition to the one which had demos of the game running, there were three (3) activity booths. Tall is a Horlicks NutriQuest booth set up according to your height. Thus, this goes up if you’re higher and down if you’re lower. It’s all about giving a fair chance to kids, so it’s set to your relative height. 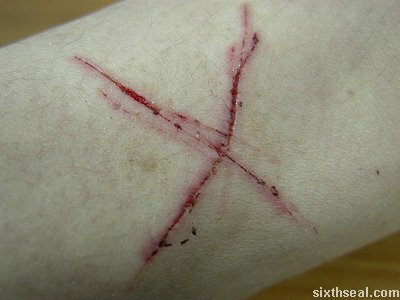 You’re supposed to catch the Horlicks star. Are you tall enough to defeat Dr Greedy? Strong is where they set up a Bop Bag. This is a HUGE plastic Dr Greedy which has been bottom stabilized so it never topples over. You try and punch it as hard as you can to earn a stamp on your card. This is meant for kids but I tried punching the Bop Bag as hard as I could. It actually went over but didn’t topple, just as it was designed to do. Nifty. Sharp is where they had a wild west rogue’s gallery of Dr Greedy and his henchmen. You’re armed with a semi-automatic Nerf gun full of foam darts. Your aim is to take out the entire board with just one bullet each. It was quite a challenge since Nerf guns don’t always shoot straight. I had fun at this booth, as did most older kids. Plus, she’s a mom too so she knows how it’s like having two kids. You either don’t give it to them at all (since you only have one) or you get another one and she was kind enough to procure another watch for me. What’s this watch, you say? 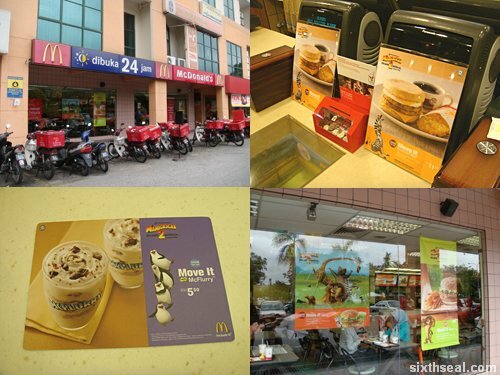 Well, it’s an item from Horlicks which you can redeem too! Each Horlicks pack will have Horlicks NutriCoins inside within the duration of this campaign and the Horlicks NutriCoins can be redeemed for both in-game levels *and* exclusive prizes through online redemption. I’ll showcase more about the Horlicks NutriQuest interactive adventure game in a separate post. Horlicks also offers 23 vital nutrients which are essential for growth and children development and I though it’s a great idea for the NutriCoins to be redeemable for awesome merchandise like watches in addition to in-game levels such as to unlock exclusive levels in the 4th Dimension world. No, I’m not acting cool. I’m defeating Dr Greedy in-game and IRL at the same time! The game is very we-well-polished and fun, go download it for either iOS or Android now! Which came first? The chicken or the egg? I think that question is best left for philosophers to ponder upon. More importantly, what do you think of the pun in my caption? Alright, the pun wouldn’t make sense until later in the post. 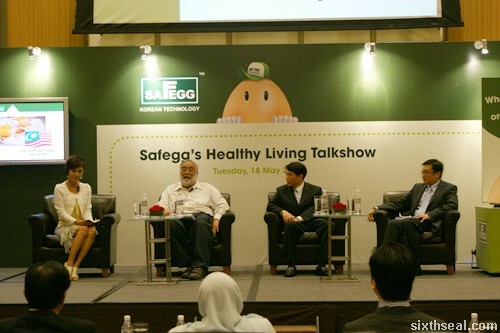 I attended the SaFegg Healthy Living Talkshow last week where the concept of pasteurized eggs was introduced to us. It wasn’t a drab and dull event where you struggle to stay awake and wish you had a toothpick to prop your eyelids up, but a rather educational one. 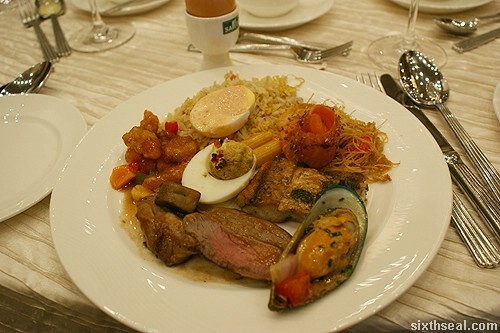 The lavish spread in Hilton’s ballroom prepared using the very same eggs is icing on top of the cake. I have seen these eggs in Cold Storage before and I even use it to cook. 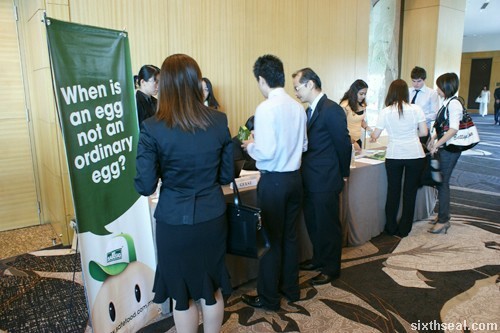 The first thing that came into mind when I first saw these eggs is that it’s very atas eggs. I love the packaging and each individual egg has a use-by date printed on it. I was amazed. I didn’t know much about it though until a couple of weeks later when I went to this event. 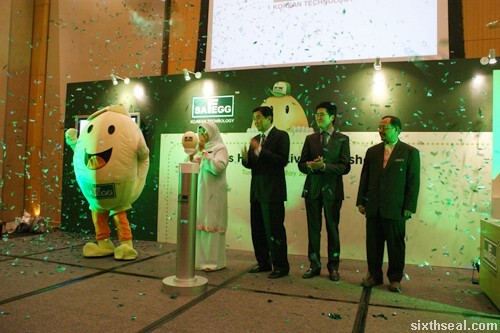 SaFeggs is the first and only pasteurized egg in Malaysia and the technology behind it is from Korea. These eggs are carefully selected, checked for hairline cracks and coated with a protective layer of mineral oil before pasteurization to keep it fresh for longer. As Professor Gulam Rasul from USM puts it, the pasteurization process kills bacteria, which is the main cause of salmonella and e-coli poisoning. 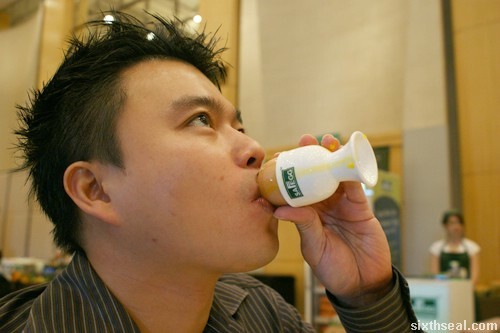 Pasteurization is not a new process – it has been used for ages in milk, but not eggs. The term is derived from a certain man who discovered that he could kill most bacteria by heating liquids in 1862. You have this bearded fellow (heard it’s all the rage back then) to thank for it. 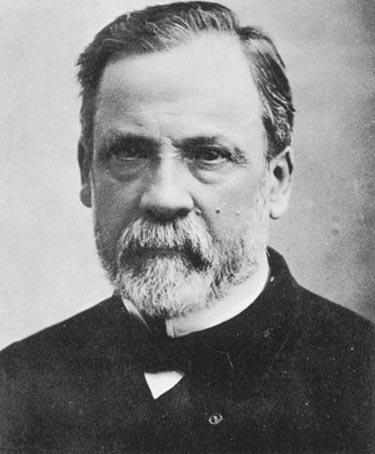 Mr. Louis Pasteur. Or Monsieur Pasteur since he’s French. Heh! Anyway, back to the SaFegg Healthy Living Talkshow, I found out that a normal egg has a transparent egg white while a bacteria-free egg looks opaque! 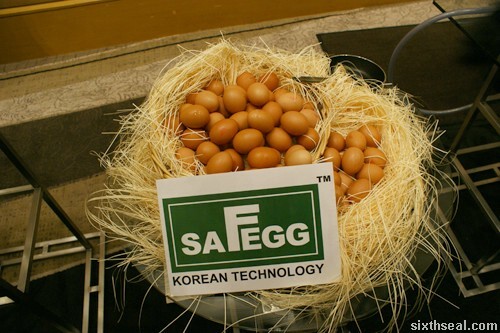 The special packaging it comes in also increases the shelf life of Safegg for up to 60 days. It is safe enough to even consume raw for all of you body building enthusiasts out there who cracks 20 eggs into a protein shake and chugs it before hitting the gym and bench pressing 200 kgs. The Korean representative also cracked a joke (pardon the pun) about his next egg project. I was the only one who chuckled though, which makes me wonder if I was the only who got it. It certainly won’t pass FDA regulations if anyone thought he was serious. The eggs in the green packaging also contains DHA which helps your brain (very useful for me, considering the devastation I have done to my cerebral cortex in my hedonistic lifestyle ;)), heart and eyes. After the talk, we were ushered into the grand ballroom. I think I can speak for everyone when I say I didn’t expect such a fine dining experience when the agenda lists “Refreshments”. 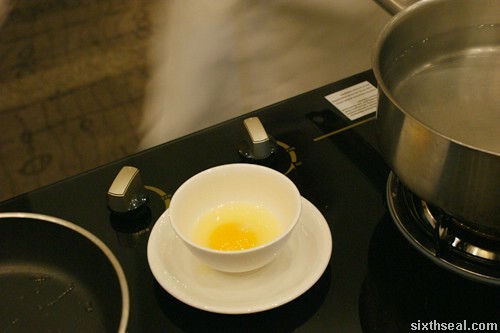 This is a far cry from what I would call refreshments – there are dedicated stations where you can order eggs in any style you want – poached, sunny side up, scrambled, soft boiled, and the list goes on. The buffet lineup was also rather impressive, with lamb and fresh salmon on the menu. 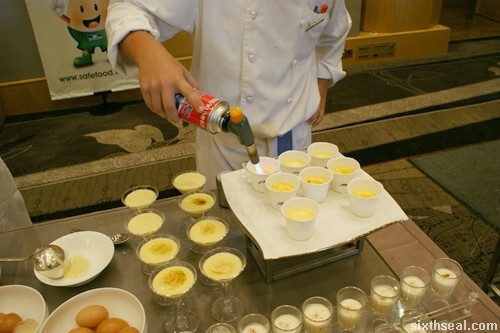 However, the thing that really resonates with me is their desserts – creme brulee being my favorite. 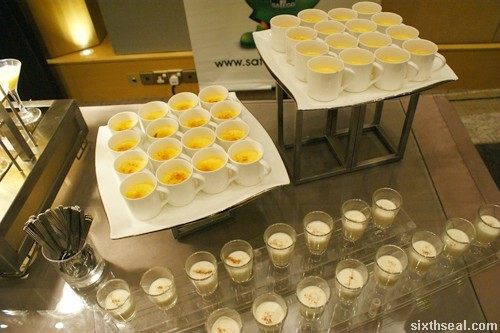 They also have a lot of cakes on offer (this is why Malaysians consume an respectable 305 eggs per person per year – a lot of food contains eggs) but I was content with attempting to finish all their eggnog. This may be the best eggnog I’ve ever had. In case you didn’t know, eggnog is usually a Christmas drink so I was pleasantly surprised to see it here. 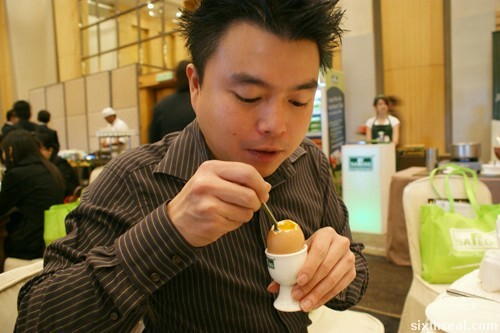 It’s made with Safeggs like all the food and drinks during lunch. Oh, and it also contains brandy and rum. I had quite a few of these. I think it was at that point that I decided I could never have the patience to eat a soft boiled egg properly and decided to throw decorum out of the window and just slurp it from the egg holder. 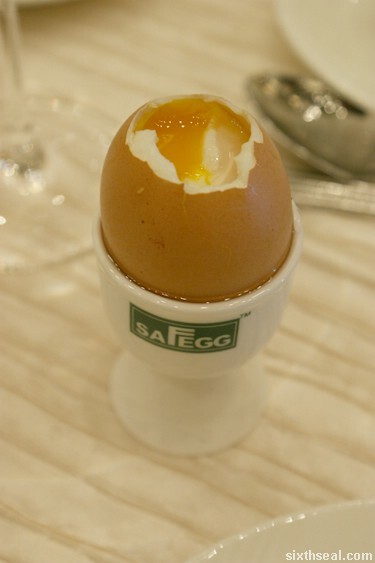 We got a goodie bag with cartons of SaFeggs, an egg holder and an automatic soft boiled egg maker. Nifty. I love soft boiled eggs and have at one point in my life consumed 32 eggs (no joke) in a single sitting mixed with lots of pepper and soy sauce. 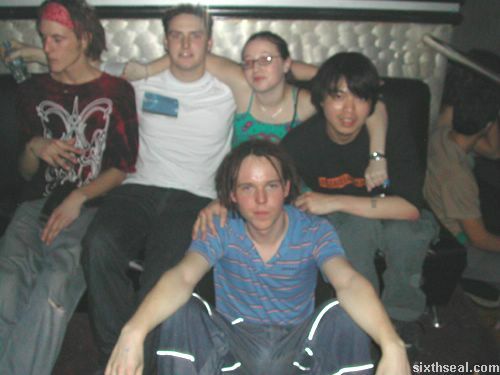 However, I have participated in a blogathon where we had to sit in an enclosed space for 24 hours in total. The only difference is that my fellow bloggers were not murderers or serial rapists (at least I don’t think they are ;)) and I didn’t have to watch my back every time I dropped something. 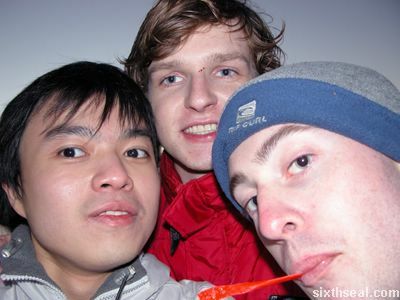 It was actually pretty fun, in hindsight. There is an upcoming event where 4 bloggers will be physically confined to an enclosure and asked to perform various tasks. I don’t know what the tasks are but I can throw out a couple of suggestions to the event organizers! I actually saw this in those wacky Japanese game shows. The participants were forced to drink several liters of beer, stripped down to their loincloth and forced to sit in a tub full of water complete with ice cubes. 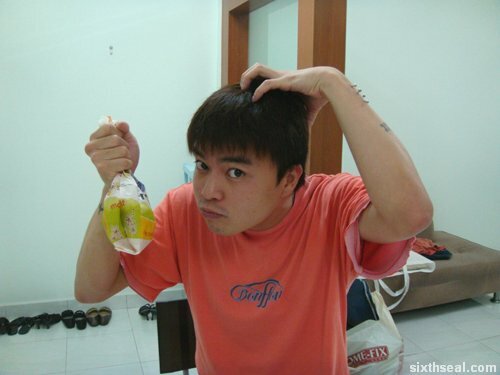 The man who manages to hold it in the longest wins the challenge. This was in winter and one memorable scene which still makes me laugh to this very day is one guy whose face was practically contorted in concentration, before deciding to throw in the towel. He actually ran sideways like a crab to the toilet before the boos of the crowd made him rescind his moment of weakness and he retreated back to the tub. 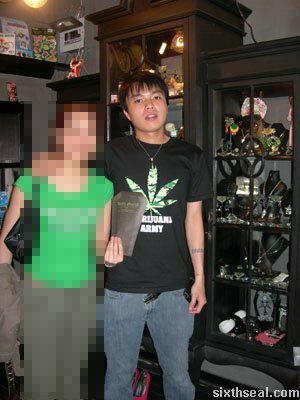 The expression on his face? Priceless! HAHAHA! These Japanese sure know a thing or two about making their tasks akin to torture. Okay, now since this thing is being held in a mall I have a great idea for a task. Each blogger has to shoplift something from a specific store. There will the the usual CCTVs and corporate security guards around but they won’t know which ones are the bloggers. The person who reaches the exit of the mall wins! 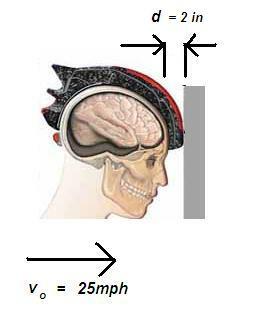 However, if you get caught, you still have an option – break free from the guard and make a run for it!!!! The first blogger who gets to the mall exit wins (coz that’s where the jurisdiction of the mall cops ends). This is a spin off from the second task and also inspired by those crazy Japanese game shows. 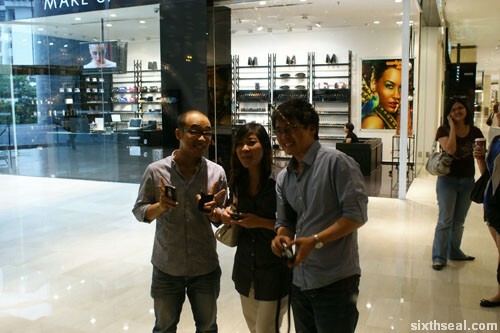 Each blogger will be given free reign to run through the mall and try to exit the mall. Think Cube the movie. 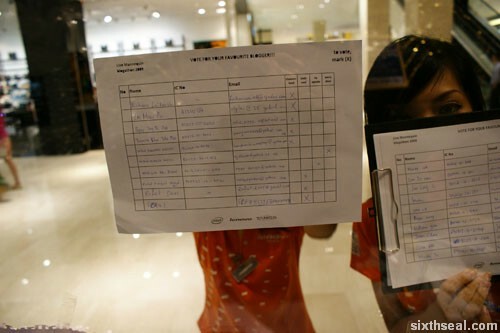 The automatic glass doors are all locked except for one, but the bloggers would not know which one it is. The trick here is that every single blogger will have to run headfirst at full speed towards the auto glass doors – it has an element of luck to it so it can be a tie-breaker. If it’s the correct (operating) glass door, you’re off scot free. If it’s not, well, it’s time to break out the ice packs for that bruise on your head. Yup, it’s the second incarnation of Marquis de Sade here. There will also be a contest running on Astro’s Facebook page starting on the 1st of June. It seems that one of the mechanics would be to comment on a moment when you wish you can record in your life. This is an easy one for me. I would choose my time with Stephanie – I was 24 and she was 29. She’s perhaps the only person I’ve ever truly loved in my life, so I can replay it over…and over…and over…again. Oh well, back to the event, just be thankful that I am not the person who’s organizing the tasks. Haha! The four bloggers who will be at this event on the 5th of June will be Michael, Eiling, RedMummy and BeautifulNara in conjunction with the Astro PVR roadshow. She’s been an awesome friend and even invited me to celebrate Chinese New Year with her family last year in Ipoh so sorry guys, I’m going to root for Eiling. 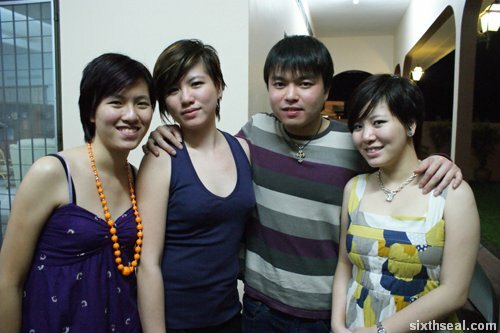 I know her sisters too – just bumped into Yiling a couple of days ago. I’ll be there the entire day to support her! A good friend will come bail you out of jail, but a true friend will be sitting next to you saying, “Damn, that was fun!”. It’s next Saturday! See you all there! 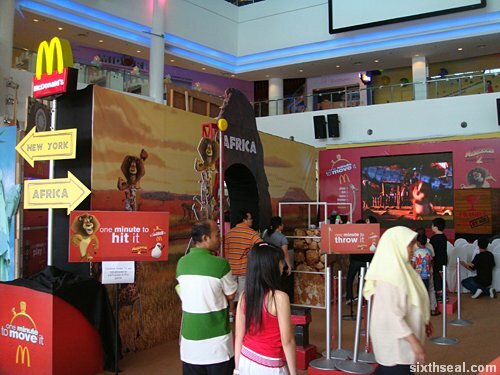 Madagascar Return 2 Africa fever is running high and McDonald’s upped the thermostat with a great road show at the Curve last Sunday when I was at Cineleisure to catch the movie. 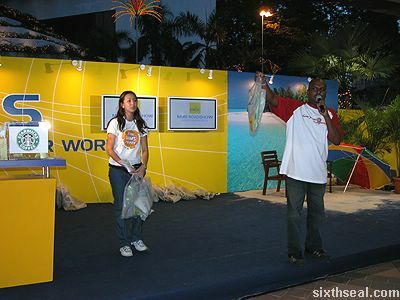 The promotional booths had games with themes like “one minute to hit it”, “one minute to throw it” and others along that line but it was the Move It Dance Competition that drew the crowd in droves. This is the crème de la crème – it’s a group of small children doing a dance routine. It’s choreographed, but the age of the performers makes the choreography all the more remarkable. It received high accolades from both the judges and the crowd, and it was one of the first performances – certainly setting the bar high for the other teams, this one. 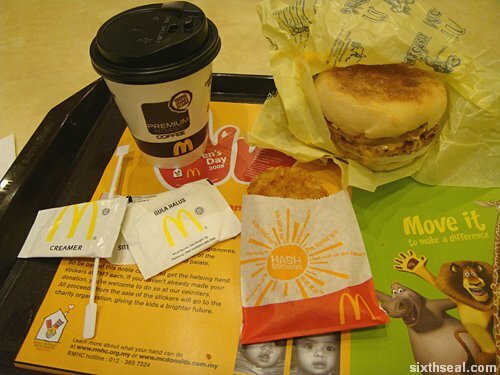 The Madagascar Return 2 Africa promotion by McDonald’s has three components (at least for the edible aspects, and I urge pedophiles to refrain from commenting on the dance competition with the word “edibility” in the same sentence) – the Move It Breakfast Meal (RM 11.90), the Move It Milo McFlurry (RM 5.90) and the Move It Meal (RM 14.90). I had the Move It Breakfast Meal at the LCC-T. 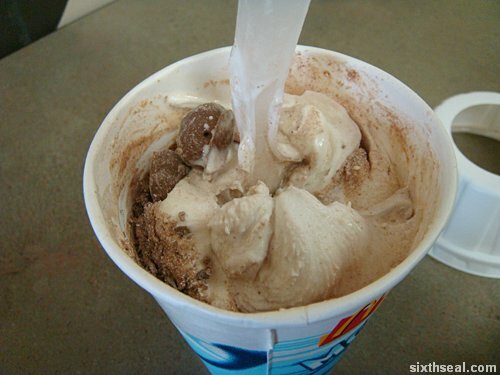 I had the Move It Milo McFlurry in the McDonald’s in Kelana Jaya. 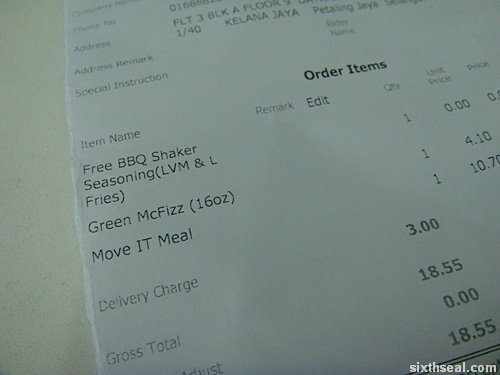 McDonald’s McDelivery certainly Move(d) It…and charged me RM 3 for it. Hmph. 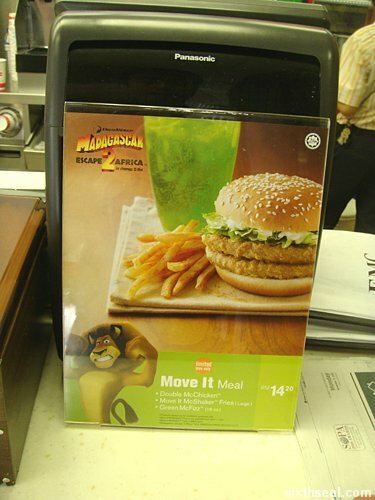 The Madagascar Escape 2 Africa Move It meal comprises of a Double McChicken, Move It McShaker Fries, and a Green McFizz. 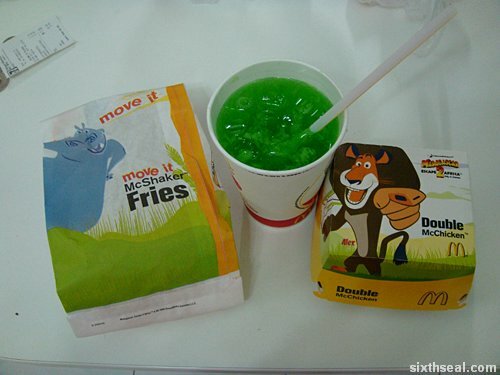 The best part is the Move It McShaker Fries, which are flavored fries and tastes great! If you haven’t watched the movie, you should. It’s better than the original in many ways. I particularly liked the giraffe dying hole. Oh, that had me laughing out loud. It nearly gave me a laughing fit. Morbid humor. Heh! 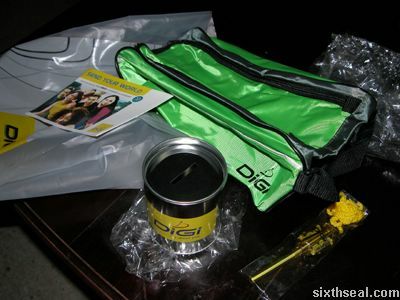 There was a Digi MMS Roadshow event going on at KL Plaza last week. He said I probably only wanted a photo of his assistant. Heh. who came up after me had to answer questions or do stuff.